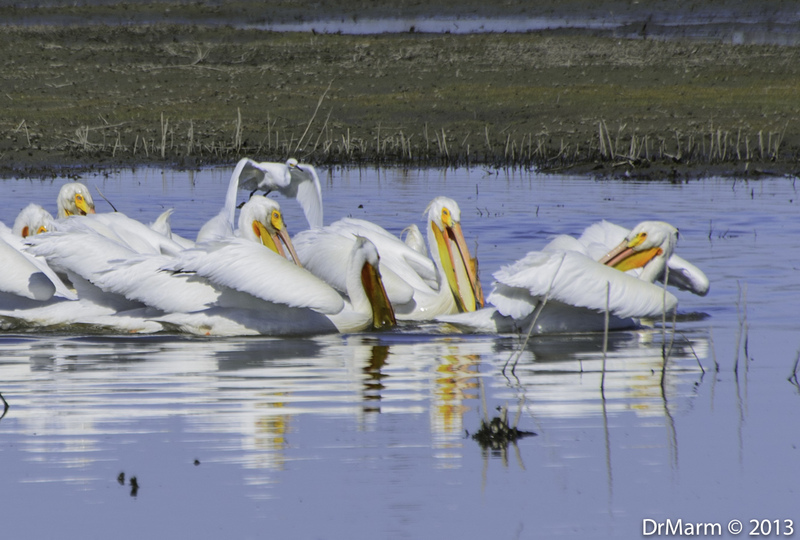 Amazing to watch these American White Pelicans in sync. 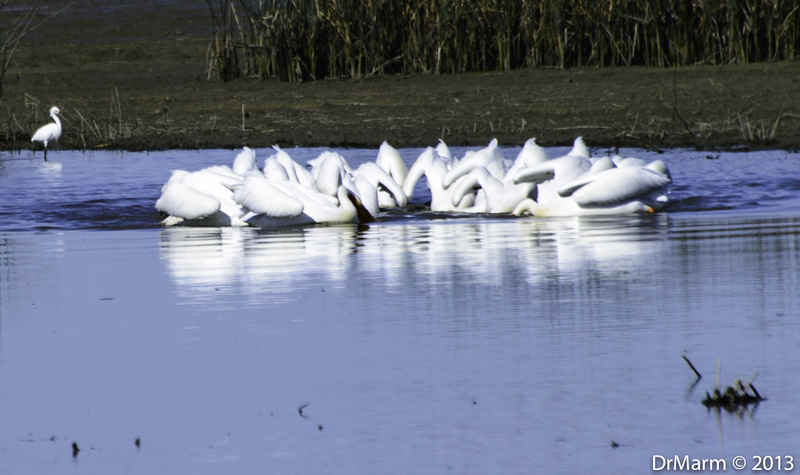 I have seen four pelicans in synchronized movement, but never this many! They were full of grace and many cars pulled over to see them gliding through the water. As a child, I was not very athletic and not that coordinated. So, of course I found my attention on the one pelican that was out of sync. What a character! It was entertaining to watch him up when all the others were down and vice versa. The one did manage to get into the groove as they continued to amaze their audience! Fun and so stunning to see these large birds be so graceful! There was another…that got out of sync, still a beautiful scene to enjoy! 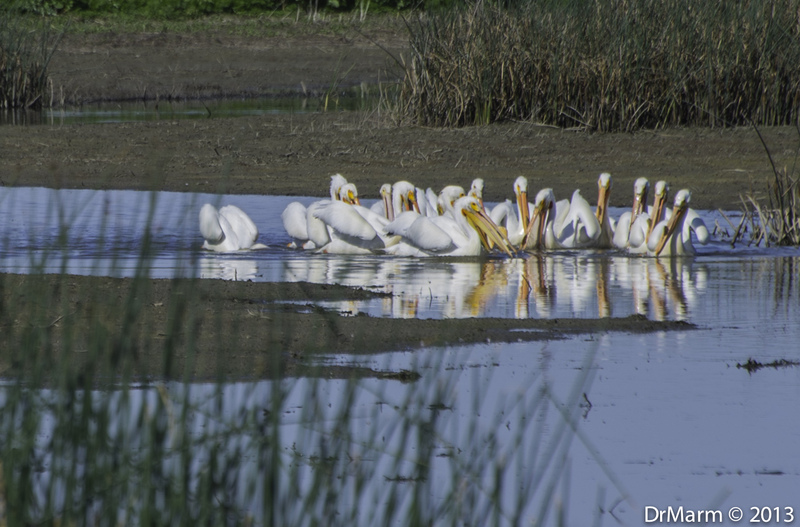 We were on the car loop of the Yolo Bypass, certainly an enjoyable outing and I can not wait to return. Such a treat to see amazing birds. This entry was posted on March 27, 2013 by DrMarm. It was filed under Uncategorized .